PASSION, ART, INSPIRATION. . .
Flamenco is a soul stirring combination of song, music and dance from the Andalucía region of Spain. I invite you to join me on a soulful adventure to important flamenco festivals in the U.S. Spain and around the world! 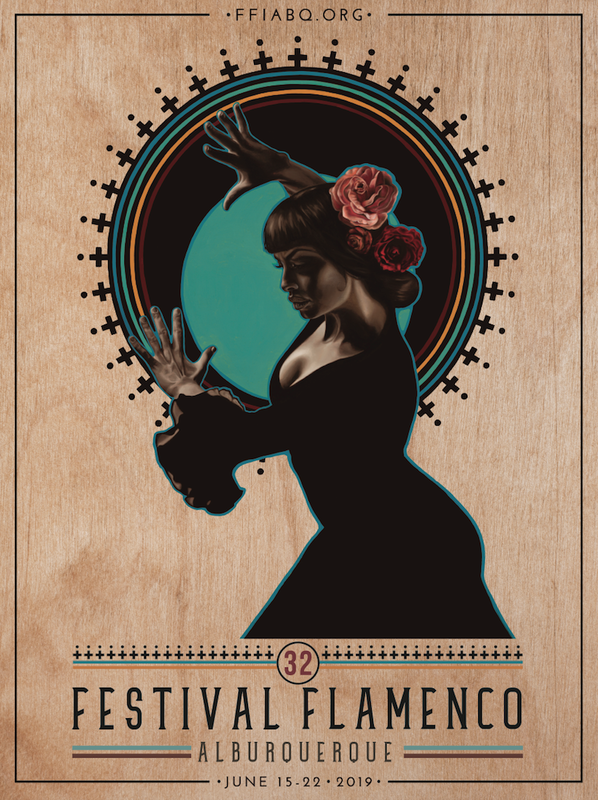 Unfortunately, due to a scheduling conflict, Flamenco Journeys will not organize an official tour to the festival in Albuquerque in 2019. However, if you are planning to attend the festival, please contact us and we can give you tips and advice to help elevate your experience at the festival! The largest flamenco festival in the United States in the flamenco capital of the U.S., the lineup for its 32nd edition includes Israel Galvan, Olga Pericet and Manuel Liñán. This is a major annual festival; the 2019 lineup will be announced on its website in April. Mont-de-Marsan is located south of Bordeaux in Southwestern France. Flamenco Festival London has moved to July (previously happened in the month of February! Locations throughout London including Sadler’s Wells Theatre and the Lilian Baylis Studio. This one is looking like a mini bienal de Sevilla with headline acts including Rocío Molina, Miguel Poveda, Jesús Carmona, Sara Baras, Dorantes and Patricia Guerrero! I created Flamenco Journeys because I am passionate about flamenco and travel! I have traveled to Granada, Jerez de la Frontera, Sevilla and important U.S. Festivals, notably the Festival Flamenco International de Albuquerque, on multiple occasions as both a tourist and a dance student. I was alone on my first trip to Jerez de la Frontera in 2010, and although I made friends there, I couldn't help but wonder how much more fun it would have been geeking out on flamenco with a group of old and new friends! During my second trip to the festival in Jerez de la Frontera in 2015, the idea for Flamenco Journeys was born and it became official in 2016! Whether you are a student of flamenco dance who wants to study with master artists from Spain, or a fan of the flamenco art form, my goal at Flamenco Journeys is to share my love of flamenco with you as we all immerse ourselves in the sights, sounds and tastes of Southern Spain, and other flamenco-rich areas of the U.S., Spain and the world! During each journey we will have special opportunities to meet some of the leading flamenco artists and to explore some off the beaten path flamenco sights. When possible, our journeys will also include expert guides, bilingual in Spanish and English, to deepen our understanding of flamenco and of the cities we will visit. Because I believe the best travel experiences and memories result from spontaneity, the itineraries are constructed so that my guests will have a healthy mix of of scheduled time and free time to wander and explore.